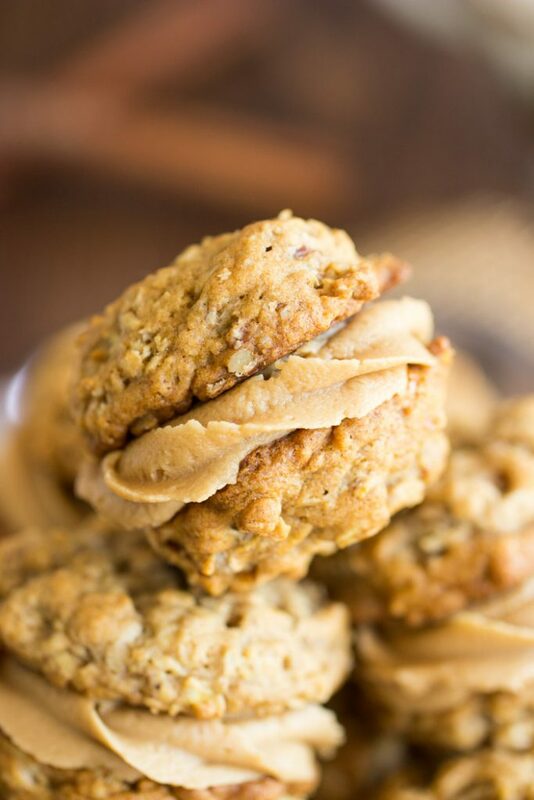 These Oatmeal Sandwich Cookies with Cookie Butter Frosting feature soft, chewy, buttery oatmeal cookies, heavy on cinnamon, filled with a rich, fluffy cookie butter frosting made from Biscoff spread! 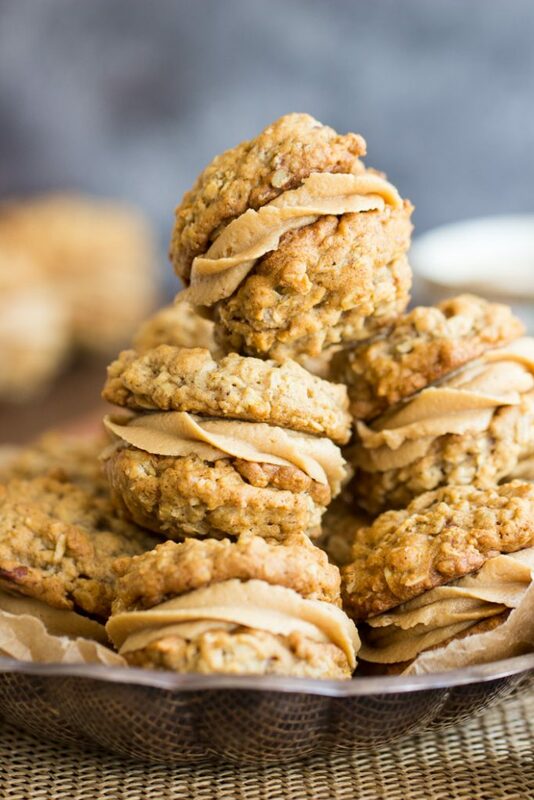 These Oatmeal Sandwich Cookies with Cookie Butter Frosting are a match made in heaven, and the results are heavenly, indeed. Hey friends! Happy Sunday! I hope you’ve had a great weekend. We had a relatively relaxing one, and it’s just what we needed to recover from Irma drama. It’s been a weird September. People still don’t feel back to normal from the hurricane, and we didn’t ultimately get hit that hard, but there was such a prolonged period of stress and anxiety in anticipation of it – no one is quite themselves here yet. Shell-shock. I’ve been thinking about everyone that was impacted by Harvey and Maria too, and I’m praying for all those people. Our weekend wasn’t *completely* relaxing, but I’ll get to that in a minute. For the most part, we just enjoyed downtime, went to dinner with friends, and did boring stuff like go to the grocery store and watch football. So, would anyone like a kitten??? 🙂 A mother and three kittens showed up in our yard. We started feeding them and trying to befriend them. The mother is super sweet and friendly, but the kittens are skittish. They’ll warm up, they just need a little socialization. Since the hurricane, it’s been extremely difficult to find any shelters with room to take them. We dug around, and found a rescue organization that can take them all, but our challenge now is gathering the troops. The mother is no problem, but the kittens are tricky buggers. 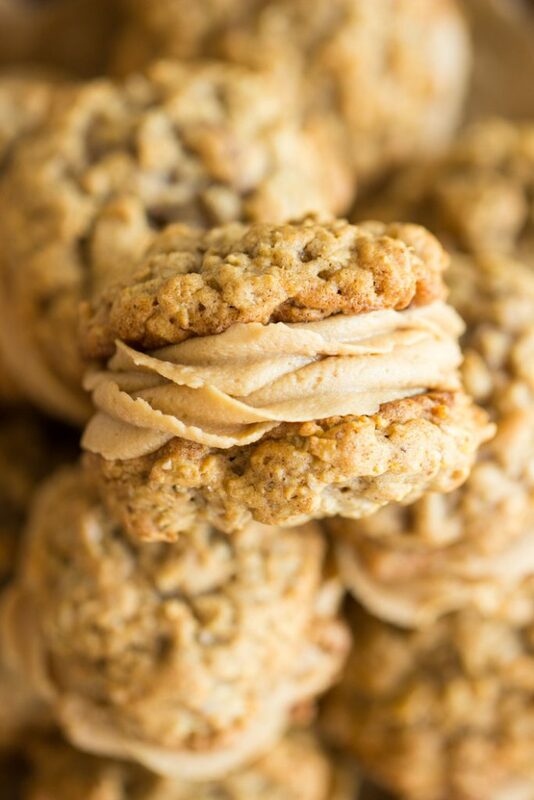 Let’s finally talk about fall baked goods and these Oatmeal Sandwich Cookies with Cookie Butter Frosting. 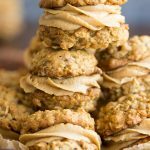 If my life depended on it, I don’t remember where I got this oatmeal cookie recipe, but I’m not switching anytime soon. These are the BEST oatmeal cookies. So many oatmeal cookies are chewy in the center and crispy on the edges, but otherwise flat as a pancake. Not these, these are thick too. They don’t collapse or spread out too thin, they stay thick and substantial. 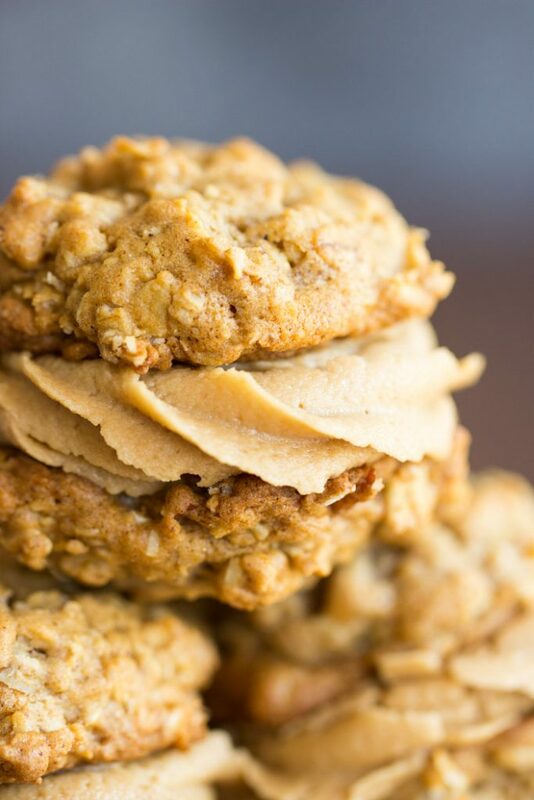 They’re all the chewiness and softness you want in a perfect oatmeal cookie, and with golden, crispy edges too. 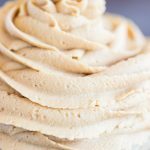 What else can I say Cookie Butter Frosting??? It’s part of a four-way tie for best frosting in the universe with Peanut Butter Frosting, Nutella Buttercream, and Brown Butter Frosting. 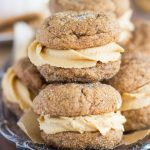 I’ve used Cookie Butter Frosting in a number of recipes, but I really wanted to smash it between two perfect oatmeal cookies to make these Oatmeal Sandwich Cookies with Cookie Butter Frosting that would feature a cinnamon explosion. 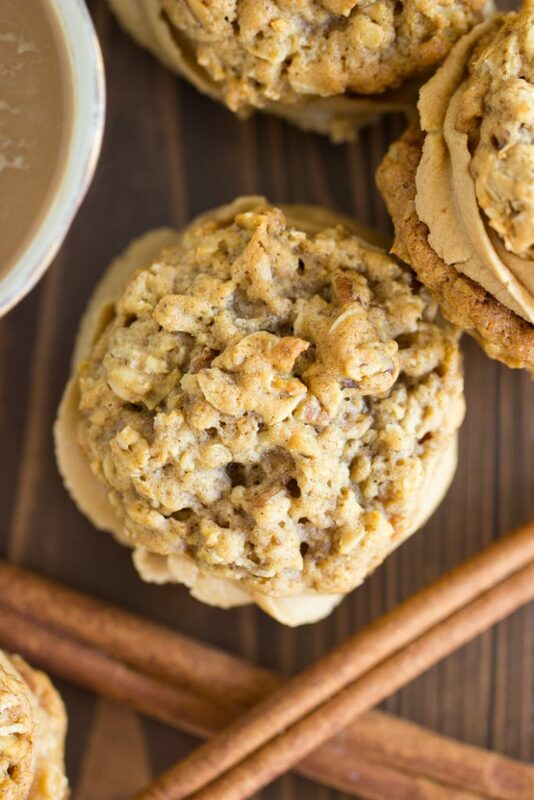 Think about it – soft, chewy, buttery oatmeal cookies, heavy on cinnamon, filled with a rich, fluffy frosting made from a cinnamon cookie spread. This was a match made in heaven, and the results are heavenly, indeed. 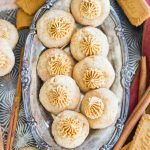 For more favorite cookie butter recipes, check out these Cookie Butter Rice Krispie Treats that you can make as easily as classic RKTs. I also have a fabulous cookie butter cheesecake that is quick and no-bake, this Cookie Butter Cheesecake with Biscoff Crust. 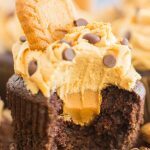 Last, Chocolate Cookie Butter Cupcakes with Cookie Butter Frosting! Omg…. 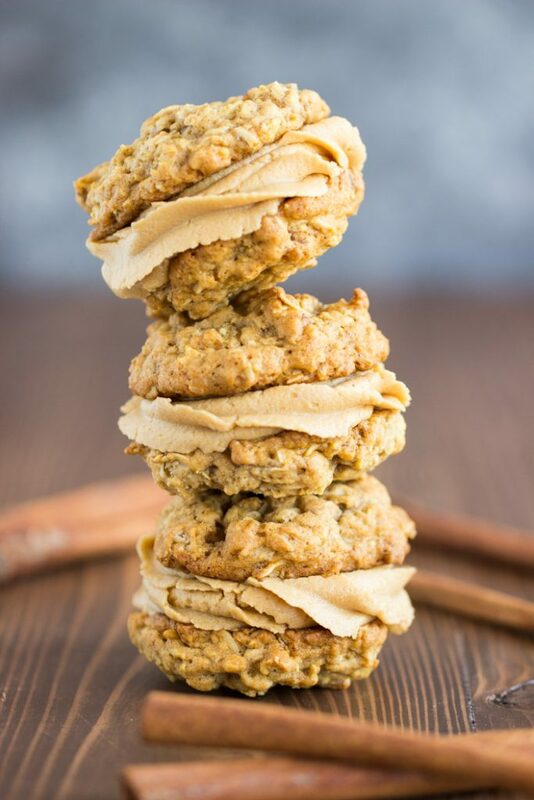 These Oatmeal Sandwich Cookies with Cookie Butter Frosting feature soft, chewy, buttery oatmeal cookies, heavy on cinnamon, filled with a rich, fluffy frosting made from Biscoff spread! 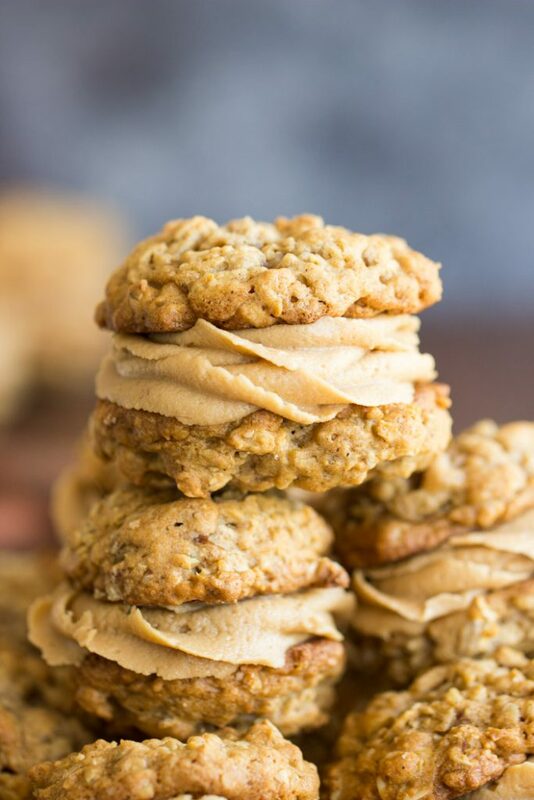 These Oatmeal Sandwich Cookies with Cookie Butter Frosting are a match made in heaven, and the results are heavenly, indeed. In a large mixing bowl, beat butter until creamy. Add brown sugar and sugar, beating until light and fluffy. Beat in eggs, one at a time, mixing well after each addition. In a large bowl, whisk together oats, flour, cinnamon, baking soda, and salt. Add the dry ingredients to the mixing bowl, and beat until just combined. Cover and chill in the refrigerator for at least one hour. If you are chilling for several hours or overnight, remove from fridge to thaw for about 15 minutes before baking. Line baking sheets with parchment paper or silicone mats. Drop by heaping tablespoonful about 3 inches apart. Bake at 350 degrees for 12-14 minutes, or until edges are golden, and centers are only just set. Remove from heat, and allow to cool on baking sheets for about 3 minutes, or until tepid to touch. In a large mixing bowl, beat butter and cookie butter until smooth. Add powdered sugar, beating until smooth. Add heavy cream, one tablespoon at a time, beating until frosting is light and fluffy. It should be thick, but fluffy and spreadable. Pipe or spread between two cookies. I can’t imagine being in a place with hurricanes! I’m glad you are all okay, but I would be a nervous wreck I know! Stuff. Of. Dreams. Seriously, these look INCREDIBLE! 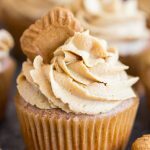 Obsessing over that cookie butter icing!